Padma Oil Company Limited Job Notice, Exam Admit Card, Written Exam result published by www.pocl.gov.bd . When pocl official website published New Recruitment notice then you can also check pocl updates at todayjobnews.com . 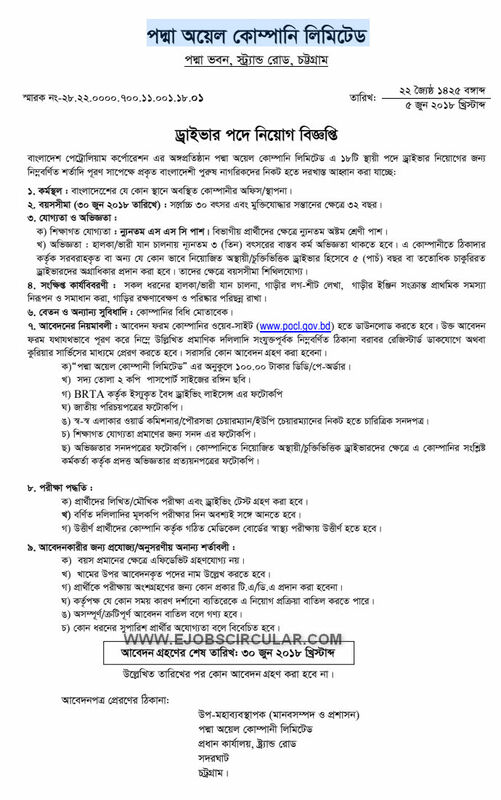 Bangladesh Govt jobs circular of pocl Full information available here. Let`s Check below pocl Job Information in June 2018.